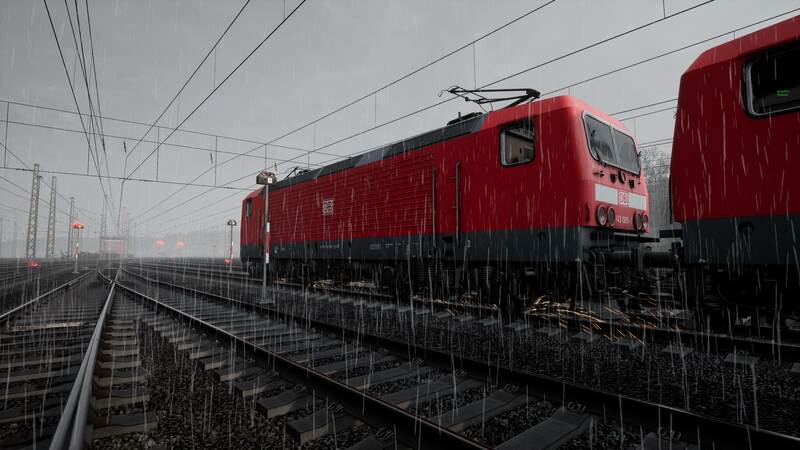 Ive been trying to drive the service with the 4-5 coupled locomotives on the new Ruhr Sieg Nord route, im struggling to get the darn thing moving! What am i doing wrong.... surely i haven't got to run through every other cab and turn off brakes/handbrakes?? Go to each locomotive and remove the manual brake. lol - sorry - but people want a simulator, then say it is too much effort to run said simulator -- but if the hand brakes are applied - yes you must release those handbrakes. Just like the real world - after tying down a train for the night and applying X number of handbrakes on the rolling stock - the next day those brakes will have to be release manually before rolling the consist onward. It's a game, not a second job, if I don't want full 100% realism then that's my choice, which is why i choose not to drive this particular service. It's not "a game" it is a simulation that tries to simulate the real world as good as possible, if you don't want that its maybe the wrong "game" for you. It's a game mate, just like candy crush or call of duty. If and when I want to play a more in-depth rail simulator, I'll fire up ts20xx, for me, tsw is there for some arcade fun when I have a spare 45min or so. Releasing the handbrakes adds to the realism! Why are you whining about that? I asked a question and got a clear, polite and correct answer with the first response, there is no reason to continue this thread beyond that. I run TSW for fun, so for me it's essentially a game. I do not need to learn to drive a train. Please allow people with different opnions do what they like. No need for bashing and saying this game/simulation is not suitable for them. Let a love for trains be the binding factor and nothing else. To be honest, forums simply do not work like that -- fortunately or unfortunately. Just ignore the posts that irritate you. Been wondering about the dead attached BR 185.2 in this scenario. To release the handbrake you have to turn the battery on. Technically speaking what would you be meant to do then. I tried to turn the battery off, but there didn't seem to be a way. In real life would that result in the battery draining? Just hold the button until the battery is off (more then 5 seconds), it works. Battery off you see on the dark displays. In the DB BR 185.2 locomotives I only released the parking brake (just near the battery button). But I not "esclude" that you need to do that. The priority its just to release the hand brake from all the DB BR 143 like all already said. Hi, I'm also trying to figure this one out on Xbox One! Figured that I had to release the parking brakes on all locomotives, the 2 BR-143's work fine, but when I get to the BR-185.2's, the game asks do I want to abandon the service I'm on and when I say 'No' , the train takes off at speed with me in the wrong loco as if someone else took over! The main loco was still under parking brake. -release all hand brakes from all class 143. (direction of all locos set to 'neutral', 'train brake' and 'direct brake' to 'released'). -on al class 185: move the direction lever (main switch) to 'forward', switch off the 'parking brake', release 'train brake', 'electric brake' and 'direct brake' too, set pantograph on 'raise' and the mcb on 'close', now move the direction lever (main switch) to 'off''. -note2: when you switch off the 'parking brake' from class 185 locos, the yellow light over the parking brake interruptor turn off (this is the signal that the parking brake are released). -go in the drive cab and only in this cab set the 'main switch' to 'forward' and drive the train like if you are in a single locomotive train (classic service). -note3: I think the message "do you want to leave the service..?" happen about every 5 mins after you leaved the driver seat. Don't do anything in the driving loco where you start, exit and go the next 2 locos, the BR-143's. Release their manual hand brakes. Then onto the three BR-185.2's, push the buttons to turn on the battery then push the Hand Brake Release button, don't do anything else in them. When asked if you want to abandon the Service, answer "No". Be sure to turn the batteries back off.